 Murrieta Day Spa & Hair Studio has been serving an exceptional level of care and service for 27 years. Our job opportunities include a diverse range of career areas. A job at Murrieta Day Spa is like no other. You will be challenged and inspired. Every employee is part of our family and contributes to our success. We treat each other with respect and dignity, valuing individual and cultural differences. We communicate frequently and with candor, listening to each other regardless of level or position. Recognizing that exceptional quality begins with people, we give individuals the authority to use their capabilities to the fullest to satisfy their customers. Our environment supports personal growth and continuous learning for all employees. We truly care for each customer. We build enduring relationships by understanding and anticipating our customer's needs and serving them better each time they have services. Our customers can count on us to consistently deliver superior products and services. We are honest and ethical in all our business dealings, starting with how we treat each other. We keep our promises and admit our mistakes. Our personal conduct ensures that our name is always worthy of trust and admiration. We believe innovation is the engine that will keep us vital and growing. Our Spa Culture embraces creativity, seeks different perspectives and risks pursuing new opportunities. We encourage and reward both individual and team achievements. Our team spirit extends to being responsible and caring partners in the communities where we live and work. Building relationships one Client at a time. Providing a trusting touch in every service area. Providing a feeling of belonging to every Client, visitor, and staff member. Providing services and an atmosphere that rejuvenates and adds to the quality of life. Providing a getaway, escape and release for our clients. Providing a professional staff with customer satisfaction being the number one priority. Preserving the distinction of a World-Class Spa facility. Establishing the standards and setting the example for the spa industry. Increasing the health, longevity, self-esteem and personal appearance, all in a fountain of youth setting. Providing the ability of the spa and all employees to prosper and grow financially and professionally. Murrieta Day Spa And Hair Studio Has Been Serving An Exceptional Level Of Care And Service For 27 Years, And We Are Seeking A Full-Time Nail Technician To Join Our Team. Murrieta Day Spa offers a sanctuary from the hectic pace of everyday life. We provide a place to escape, relax and disconnect from the world. Our clients have the luxury of spending all day with us. They can enjoy lounging next to the heated mineral pool or take advantage of our dry sauna. In addition, the Garden Bistro provides wholesome and delicious made to order lunches and smoothies; along with wine and spirits. Murrieta Day Spa provides clients with relaxation and beautification. Murrieta Day Spa and Hair Studio has been serving an exceptional level of care and service for 28 years, and we are seeking a part-time (full day) Massage Technician to join our team. Murrieta Day Spa offers a sanctuary from the hectic pace of everyday life. We provide a place to escape, relax and disconnect from the world. Our clients have the luxury of spending all day with us. They can enjoy lounging next to the heated mineral pool or take advantage of our dry sauna. In addition, the Cypress Cafe provides wholesome and delicious made to order lunches, wine, champagne, and cocktails. Murrieta Day Spa provides clients with relaxation and beautification. Murrieta Day Spa is seeking an energetic individual that is ready to work in our spectacular Cafe. This person must be team driven and willing to partake in various tasks within this department. Murrieta Day Spa offers a beautiful 10,000sq. ft. with 19 treatments rooms, men's and women's locker rooms, a boutique, and gorgeous outdoor eating and lounging area. Clients enjoy warming up next to the cozy outdoor fire pit and relaxing near our outdoor heated mineral pool. We are looking for helpful cafe members to assist in making our clients feel catered to while enjoying our facility. And last but not least, have amazing customer service! The right candidate will have the ability to bring a smile to all of our guests and employees while maintaining a positive attitude. Immediate openings are available for the right applicant. We prefer cafe attendants to be 21 years of age or older as we do serve alcohol in our facility. How to apply? Please respond by emailing your resume or stop by in person and ask our Front Desk for application to fill out.